The ammunition listed on this page can only be purchased by Law Enforcement Departments. 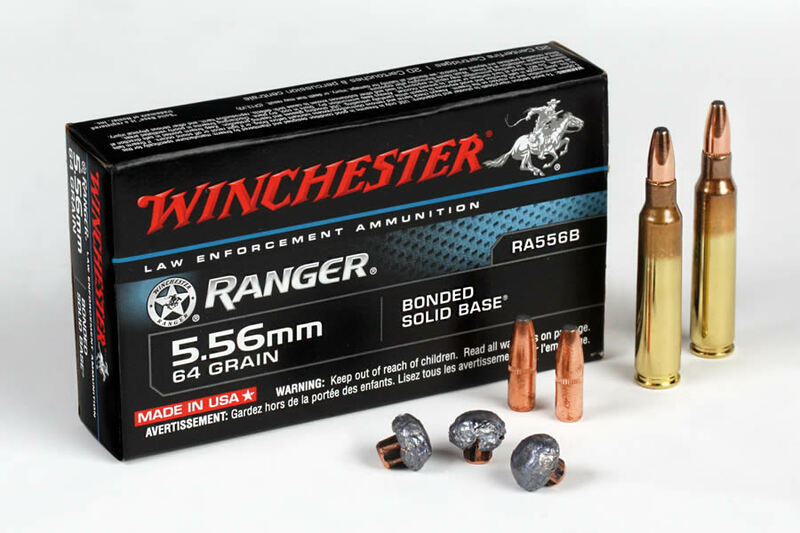 The all-new Winchester Ranger 5.56 Bonded Solid Base is the latest advancement to join the centerfire family. An exclusive bonding process results in higher retained weights and superior performance through barriers, specifically glass. Higher velocities are attained in short barrels by loading to 5.56 pressure specifications. When tough barriers become an obstacle, this is the bullet to choose.